What Are the Best Tips for Cooking Ribs? 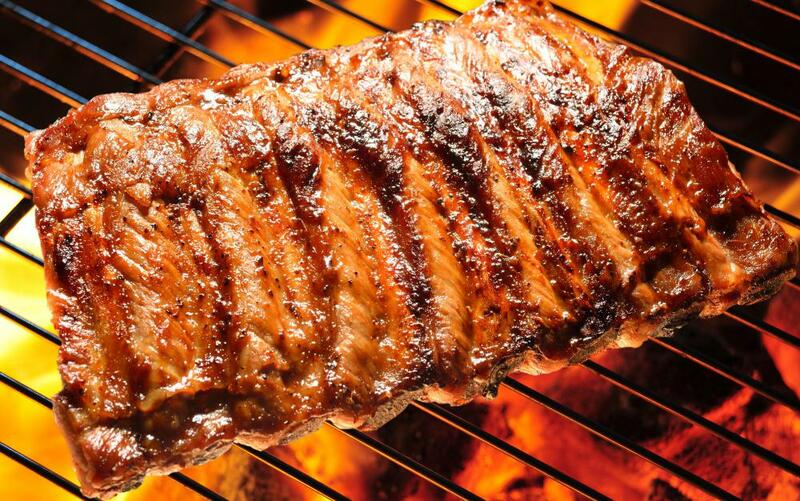 Ribs are usually marinated first, then basted in sauce while they grill. Ribs can be cookied on the grill, smoked, baked in the oven, or cooked in a crockpot. Cooking ribs is something that usually requires a lot of patience. Luckily, there are many proven ways to cook ribs. Ribs can be smoked, cooked on the grill, baked in the oven, or even cooked in a crockpot. Different pork rib cuts are available and come from different sections of the rib cage. Each cut has its own set of unique characteristics. Spare ribs are the most inexpensive cut and contain less meat and more fat than other cuts, but fat can make spare ribs more tender than other cuts. Baby back ribs are meatier, but may not be as tender as spare ribs. Prior to cooking ribs, a good tip is to cut away the membrane from their underside and apply a rub to maximize tenderness and flavor. The meat should be marinated and dressed with trimmings the night before for best results. Some rib chefs suggest a longer marinating period. Smoking ribs requires advanced preparation and some specialized equipment. A smoker, a device that connects to a grilling surface and funnels smoke into it, is required for smoking ribs. The smoke heats and cooks the meat over a long period of time, leaving it infused with a potent smoky flavor. Cooking ribs with a smoker takes about five hours, but many people lower the cooking temperature and cook them longer to enhance the smoky flavor. An easy method for cooking ribs is to bake them in an oven. Because of the concave shape, potatoes, onions, or other vegetables can be placed below the rib meat while it is baking. 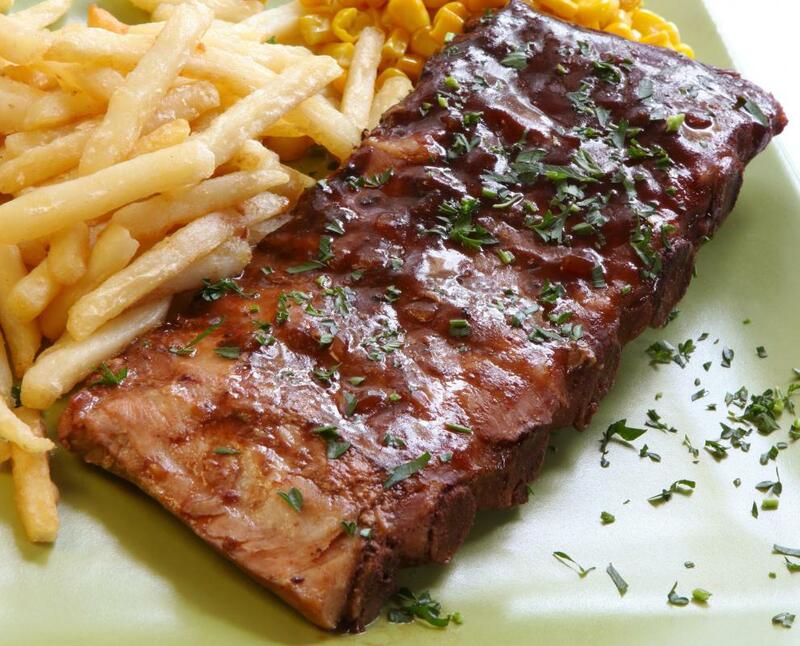 The baking ribs and their secreting juices will give the vegetables a tender texture and complimentary flavor. When baking, it is especially important to loosely wrap the ribs and vegetables in aluminum foil to hold moisture. Cooking ribs in a crockpot can be an easy way to enjoy the taste of ribs. If less greasy ribs are desirable, they can be broiled for about 15 minutes to remove excess grease before slicing them. They should then be slathered with sauce and seasoning and cooked in a crockpot on low for six to eight hours. It is important to remember that cooking ribs is an undertaking. The number of rib cooking competitions that take place annually are an indication of the depth and complexity of the art of rib making. Rib competitions, grill-outs, and the restaurants and barbecues of competitors are all excellent places to watch and learn about the rib preparation and cooking process. It may also be possible to pick up tips on secret ingredients and techniques from the chefs themselves. How Do I Cook Pork Spare Ribs? What Is Pork Spare Rib? What Are Crock-Pot® Baby Back Ribs? How Do I Barbecue Pork Spare Ribs? How Do I Bake Pork Spare Ribs? What Are the Best Tips for Cooking Pork? Hands down, the best way to cook ribs is to smoke them. However, who has the time? I don't have five to 10 hours to spend smoking ribs, so I have found that cooking ribs in the oven with foil and vegetables and onions, as mentioned in the article, works well. The ribs are tender and tasty--not as good as smoked, but I have yet to have any complaints. Drentel - I'm going to have to disagree with you on the best cut of ribs. I find the spare ribs too greasy and they have way too much fat on the meat. If you slow cook the baby back ribs they are very tender. The meat may not melt in your mouth, but you can see the difference when you prepare them in a slow cooker as opposed to cooking the ribs on a gas grill or in the oven. Depending on the cut of meat you start with and the way you prepare them, ribs can turn out in a variety of ways. In general, I like ribs, but I have had them prepared in many ways and some are much better than others. Though they are not the most expensive of the cuts, I prefer the slow cooked spare ribs by far. When cooked the right way, they practically melt in your mouth. On the other hand, the first time I had baby back ribs, I was disappointed. I had heard how good they were and the restaurant we were eating at was known for its ribs. I liked them, but not as much as the spare ribs.